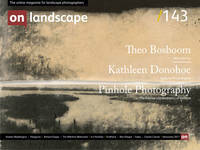 Theo Bosboom is a passionate photographer from the Netherlands, specialising in nature and landscapes. In 2013, he turned his back on a successful legal career to pursue his dream of being a fulltime professional photographer. He is regarded as a creative photographer with a strong eye for detail and composition and always trying to find fresh perspectives. A black burned landscape with small dead animals. At first sight this probably does not sound like an attractive subject for a photo project. Nevertheless, when he heard from the wild fire in a national park close by, Theo Bosboom was curious enough to take a look. And he was glad he had taken his photo gear because what he found was dreary and gaunt, but at the same time very photogenic. On April 20, 2014, I saw the news on television that in the Hoge Veluwe National Park, close to my home in Arnhem, the Netherlands, there had been an out of control wild fire. The fire was even in the World news for a short moment because the top artworks of, among others, Van Gogh and Monet of the Kröller Möller museum in the park were threatened by the fire. The paintings were brought to safety just in time and luckily there no people at risk, but the fire had destroyed about 350 hectares of nature. This is maybe relatively small compared to wild fires in some other countries, but by our standards, it was a very substantial fire. When the area was reopened to the public two days later, I decided to go there and take a look. I didn’t have any plans of making a photo series at that moment, I just wanted to see how the landscape looked like after the fire. You could say I was acting like a disaster tourist. Large wild fires are a relatively normal phenomenon in nature, but I had never seen and experienced the effects of a wild fire before. And it was more or less in my backyard, less than a fifteen minutes drive from where I live.